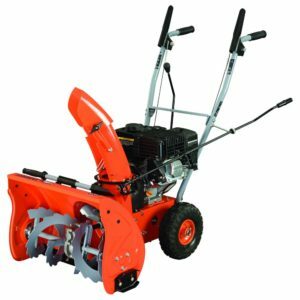 The bottom line for, How Big Should a Snowblower Be, is the following recommendation. Make sure you have a place to properly store it when not in use and purchase the largest most powerful machine that you can afford and properly store. 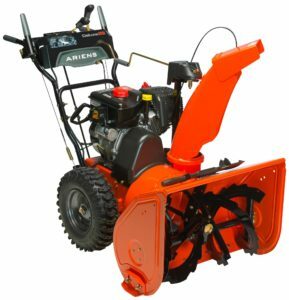 More powerful machines will clear the snow more quickly and lead to much less frustration when dealing with heavy snow or hard packed snow. 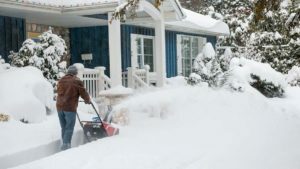 The writer has had two snow blowers, one a small 5 HP machine with 24 inch clearing width and the second a 10 HP machine with a 28 inch clearing width. The added power and clearing width are excellent for dealing with heavy wet snow and hard packed snow left by the snow plow at the end of my driveway. A proper storage location for starters? What type of snow do you need to deal with? How much area do you need to clear? Once you have the size nailed down, focus on the features next. 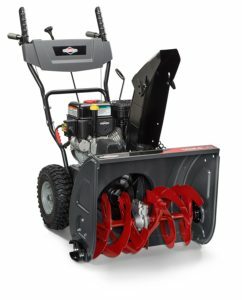 They can make your life clearing snow much more pleasant and actually comfortable. How Big Should a Snowblower Be? The following are a list of potential features many homeowners might consider. An electric starter allows you to plug into a suitable GFCI three-prong power receptacle to start the engine rather than using a manual recoil-starter. 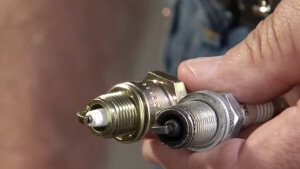 A more powerful gasoline engine (higher cc or cubic centimeter rating) or electric motor (higher amps rating) translates to more clearing ability. Clearing width and intake height determine how much snow the machine can take in. Greater width and height can reduce chore time, particularly with tall drifts. Single-hand operation allows for easy adjustments while operating the blower. Speed controls let you select the pace of the machine in forward or reverse. 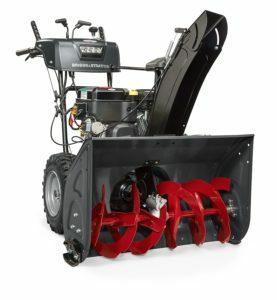 A remote chute control lets you adjust the direction the blower will discharge the snow. Power steering gives you superior maneuverability. Large tires offer traction and easier steering. Some models have dual tires on each side for even better grip. Tracks or treads replace wheels on some models for traction on a variety of terrain types. A joystick chute control provides more convenience for directing the snow. An extended chute or deflection extension reduces blow-back of the discharged snow. Drift cutters cut through deep snow and can help move snow into the auger. A headlight improves visibility where you’re working. Heated handgrips make the work more comfortable. 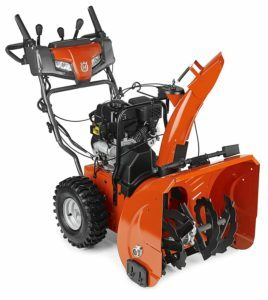 The actual features that come with your machine depends on how much you are willing to pay and how large a snowblower you purchase. 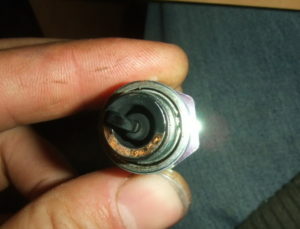 Power steering might be a must have for the heavier snow blowers for example. 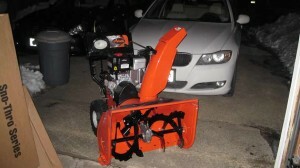 For more information and help deciding on what size of snow blower to purchase, click here.